Low-income and homeless Calgarians will have faster access to mental health services at CUPS as the Government of Alberta increases support to eliminate the wait list. Minister Hoffman, joined by CUPS representatives and Minster Ceci, announces almost $1.4 million in funding and eliminates wait list for mental health services at CUPS. A $1.4-million, three-year funding grant to CUPS will remove the current wait list and increase the number of mental health and addiction patients that can be served from 546 in 2017 to nearly 800 a year. The Shared Care Mental Health Team at CUPS provides services in mental health care, psychiatric consultation, counselling, advocacy and access to integrated services across education, housing and other health-care services. The funding will allow CUPS to expand services, hire four new staff, and create an outreach program. 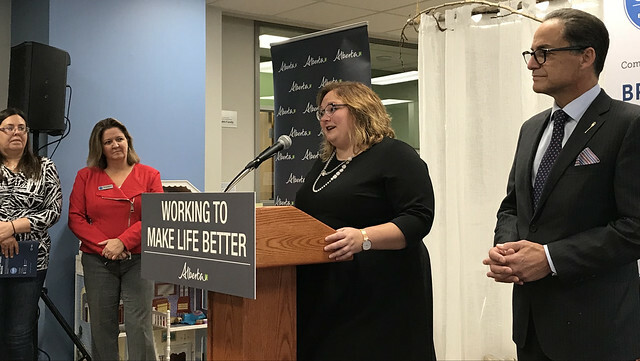 This year, the Alberta government is investing more than $87 million in mental health and substance abuse supports across the province. Funding for mental health has been nearly doubled since 2014, up from $48 million.